In a blind drawing, one’s gaze follows the contour as the hand holding the pen attempts to limn those curves on paper. One must concentrate. The drawing below shows what happens when concentration fails. I drew the face of the left-most figure twice. 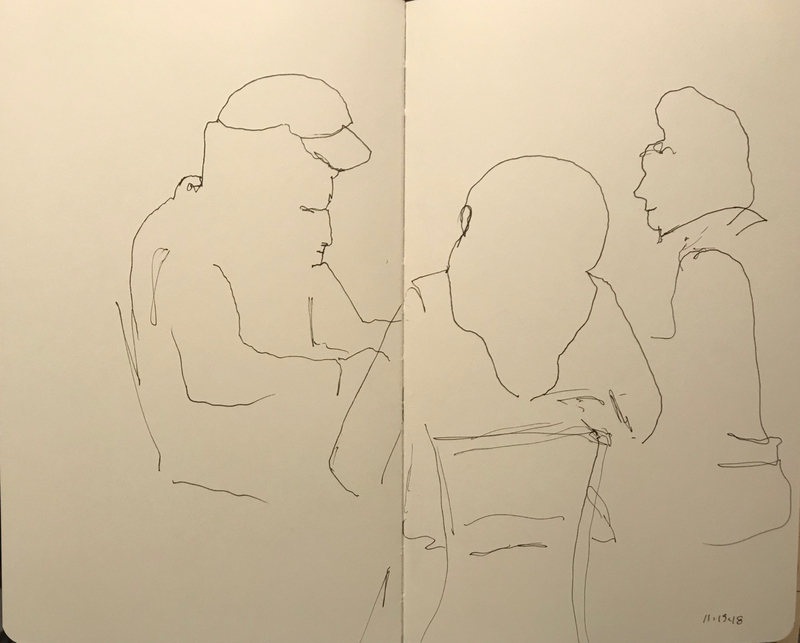 This entry was posted in Personal Stories and tagged art, artistic process, blind drawing, concentration, creativity, drawing, pen and ink, portrait, sketch, visual art. Bookmark the permalink.